Debbie Ocean gathers a crew to attempt an impossible heist at New York City's yearly Met Gala. Five years, eight months, 12 days and counting -- that's how long Debbie Ocean has been devising the biggest heist of her life. She knows what it's going to take -- a team of the best people in the field, starting with her partner-in-crime Lou Miller. Together, they recruit a crew of specialists, including jeweler Amita, street con Constance, suburban mom Tammy, hacker Nine Ball, and fashion designer Rose. Their target -- a necklace that's worth more than $150 million. 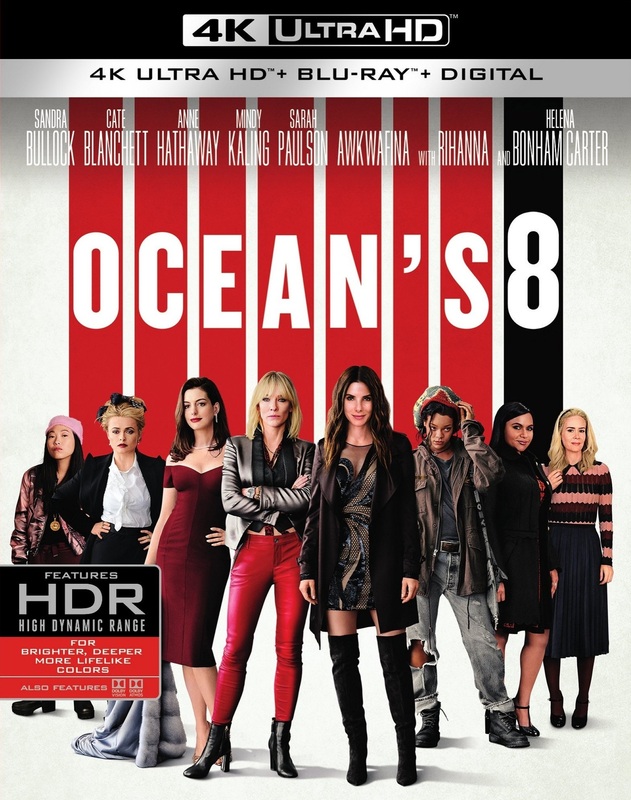 The 4K Blu-ray disc features Dolby Vision HDR and Dolby Atmos sound, plus a Blu-ray disc of the film and special features.